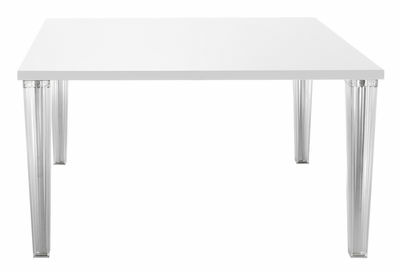 TopTop is an original table that mixes a polish surface with translucid feet. The line is minimalist, simple and essential. Many combinations and dimensions are available. The square base, streamlined and translucid with pleated surface, is strengthened with a steel core. 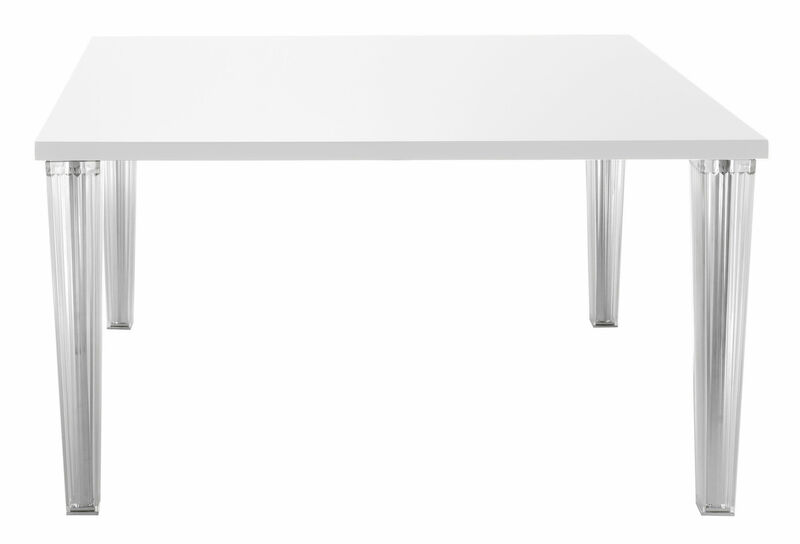 The range of TopTop tables includes rectangular or square tops of large dimensions. To complete and enhance the whole, this Kartell table comes in a polish lacquered polyester top but also with precious Wengé or oak wood.